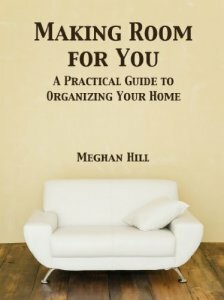 The following is a guest post by Meghan Hill, author of Making Room For You: A Practical Guide to Organizing You Home. If you would like to write a guest post on my blog, please send me an e-mail at contact@cecilesune.com. When I was little, I wanted to be a visual artist. My paternal Grandmother, an oil painter, encouraged this by giving me sketchbooks, colored pencils, watercolors and paints for my birthdays and at Christmas. I took these with me everywhere. I drew all the time. No one responded to my work so at age eight, I put away all the art supplies and began writing instead. I’m 35 now and few days have gone by when I haven’t written. I can’t imagine a life without writing. It’s my shelter and release. It’s how I make sense of the world, my life, and relationships. It’s how I process all I absorb from books, music, film, and art. Throughout high school, college, and beyond, my brother would ask what I was doing for work. Depending on the era, I answered, “Waiting tables,” or “Working for a non-profit,” or “Supporting a law firm.” He’d respond, “Well, you’re doing that now. But you’re a writer.” I dismissed it because I believed writers were strictly best-selling novelists working in high-ceilinged rooms with stucco walls, wood floors, stacks of books, and a dizzying array of crumpled papers and ink stains. Writers wrote fiction (only) and were moody and solitary folks, unreachable. A “writer” had a team: editors, agents, publishers, a handler, a beleaguered spouse, on again/off again friends, and adoring readers. I denied I was a writer for over two decades because I didn’t fit these criteria, even though all I’ve ever done consistently is write. I’d like to say it was a relief to finally admit that I am a writer. But it came with a host of anxieties and expectations. When I allowed myself to include “writer” as part of my identity, I knew I’d have to do something with it. I’d spent years demanding a novel of myself. I’ve written poetry, short stories, songs, and attempted longer works of fiction. When I accepted that I write, I had been organizing homes and offices. I was good at it. I was good at helping people determine what they did and didn’t need in their environments. I was good at making spaces look pretty and setting up systems to keep items in order. But I was great at listening to my clients. I was best at collecting their stories, empathizing with them, learning who they were and what they’d experienced by going through their physical belongings and artifacts with them. So I saw an opportunity to write my first book, Making Room for You: A Practical Guide to Organizing Your Home, which covers useful aspects of organizing and delves deeper into the heart, spirit and psyche of who we are vis-à-vis our stuff. I wrote it in a month and thanks to the relative ease of self-publishing, it was for sale immediately. This freed me from wondering what to write and how to share it. I’ve abandoned the notion of becoming a novelist. It doesn’t occur to me to write novels. I have well over a million words I’ve already written sitting on our office shelves. I’m now working on publishing over 25 years worth of my journals and releasing them in 80,000-word volumes in chronological order. I’m publishing the story of my life and there’s nothing on earth I’d rather do. Connecting with people through words is what I was born to do. 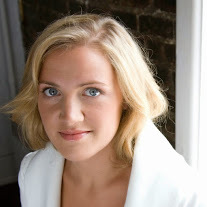 About the author and her work: Meghan Hill’s Blog. Meghan Hill’s expertise as a professional organizer, lifetime of writing, and years of studying self-development culminated in Making Room for You, her first book. Organizing for over 100 clients in Los Angeles, often overhauling entire homes and commercial offices and acting as a personal coach, has given her invaluable insight into the process of organizing and allowed her to gain a deeper understanding of what people need to sustain an orderly and serene environment. Her countless day jobs and exploration of what it means to be human is endless fodder for her imagination and writing. Born in Seattle, Meghan now lives in Walla Walla, Washington. She is currently mining her 87 journals for a series of books to publish.